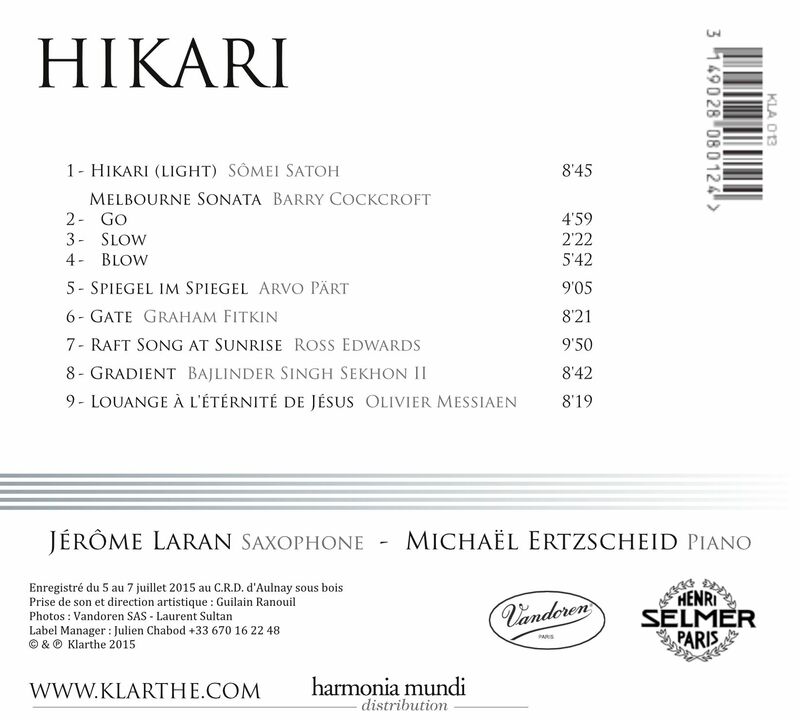 This recording is the result of several years of musical journeys and encounters across the world, combined with a strong desire to enrich the saxophone’s repertoire. Inviting the listener on a musical journey, the program features as its common thread Hikari, by Japanese composer Sômei Satoh. 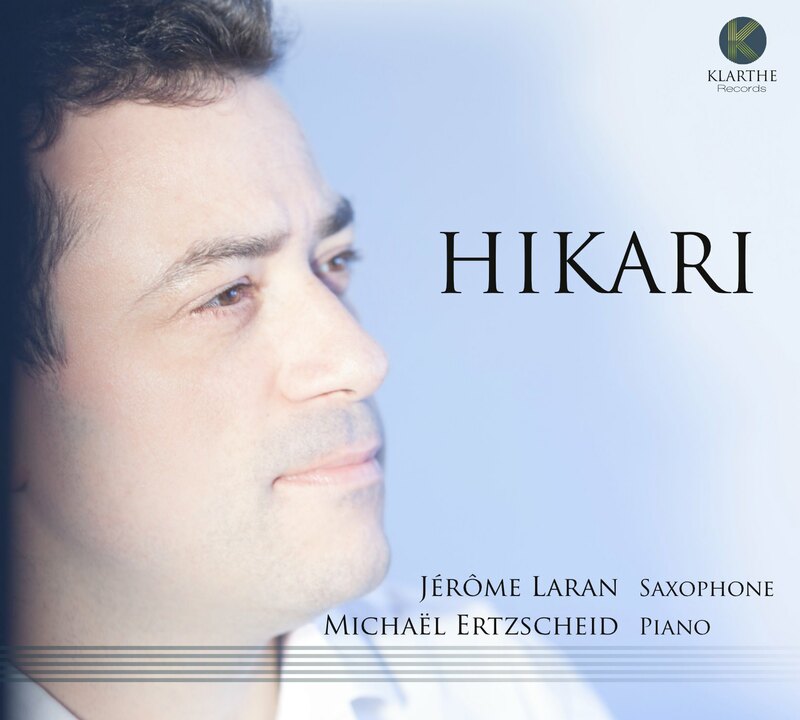 Hikari means “light” in Japanese, and is characteristic of the composer’s simultaneously minimal and spiritual music. Barry Cockcroft’s Melbourne Sonata appears next and stands out with the virtuosity of the two outer movements and tranquility of the second. In the same vein, British composer Graham Fitkin’s minimalist music is exalted by the American Bajlinder Singh Sekhon II in Gradient, in which the two instruments (saxophone and prepared piano) blend to perfection. The works Spiegel im Spiegel by Arvo Pärt and Raft Song After Sunrise by Ross Edwards are interludes with a cosmic hint, suggesting meditation. The disc concludes in a calm ambience, with a personal transcription of Olivier Messiaen’s Louange pour l’Eternité de Jésus (Praise to the Eternity of Jesus) for tenor saxophone. This project would never have been possible without the collaboration of Michaël Ertzscheid, with whom I have the pleasure of sharing the stage for many years. I wish to especially thank Henri Selmer Paris and Vandoren for their support and goodwill.